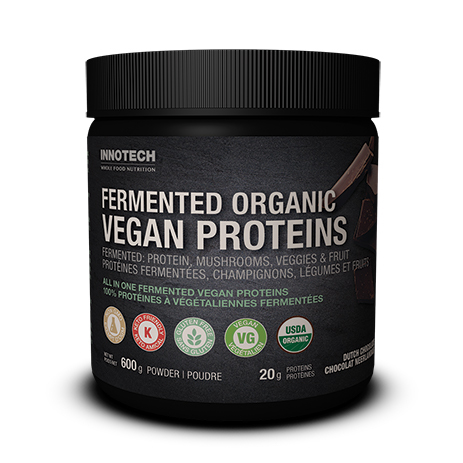 Innotech Fermented Organic Vegan Proteins contains a full amino acid profile from protein, mushrooms, veggies & fruit. It is 100% Organic, Vegan-friendly, non-GMO, non-dairy and free of soy, sugar, corn, gluten, MSG, artificial sweeteners, artificial flavours and colours. Sweetened with organic stevia, organic cocoa and organic natural flavours. 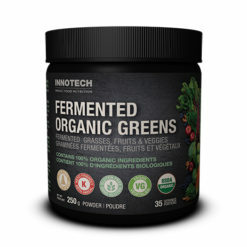 Innotech Fermented Organic Vegan Proteins is 100% Organic, Vegan-friendly, non-GMO, non-dairy and free of soy, sugar, corn, gluten, MSG, artificial sweeteners, artificial flavours and colours. Sweetened with organic stevia and organic natural flavours. Fermentation pre-digests the proteins which makes them more bio-available and easier for your body to absorb and utilize. 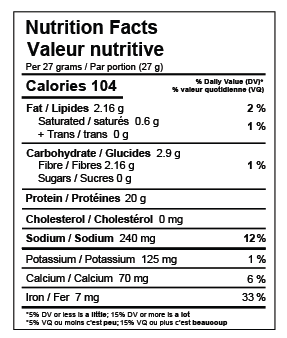 Serving Size: Mix 27 g (1 scoop) with 250ml (8 oz ) of water. Provides 20 grams of vegan dietary protein per serving. As always, remember to consume 8-10 glasses of water a day. 100% Organic Ingredients: Organic Protein Blend [Fermented Pea Protein, Fermented Brown Rice Protein, Amaranth, Chia Seeds, Hemp Protein, Fermented Mushroom Blend (Reishi, King Trumpet (Pleurotus eryngii), Lion’s Mane (Hericium erinaceus), Cordyceps, Himematsutake (Agaricus blazei), Turkey Tails, Shiitake, Maitake), Quinoa (Chenopodium quinoa), Spirulina] Organic Fermented Fruit and Veggie (Apple, Blueberry, Carrot, Cranberry, Broccoli, Kale, Parsley, Spinach) Organic Flavours, Organic Cocoa, Organic Stevia Extract, Sea Salt, Organic Inulin, Xanthan Gum.